Foodista | IFBC NOLA Speaker Announced: Craig Walker! The fantastic Craig Walker will speak during the session, 'Dine & Dish: The Etiquette of Reviewing Restaurants' at IFBC New Orleans! Craig Walker is the founder and CEO of FireSpotter Labs, a mobile applications and services developer which just released its first product, Nosh. Nosh is an iPhone and Android app that helps people find what’s good at restaurants with menu item reviews and photos from the community. 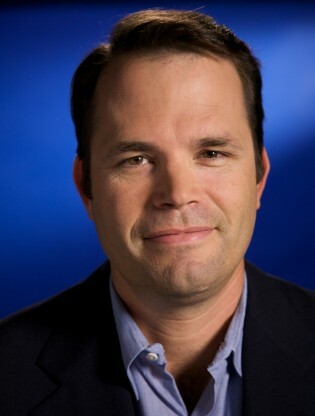 Prior to founding Firespotter, Walker was Entrepreneur in Residence at Google Ventures. Previously, Walker was the CEO and co-founder of GrandCentral Communications – which was acquired by Google in July 2007 (now Google Voice) – where he became the Group Product Manager for the Real Time Communications Group responsible for Google Voice, Google Talk and Google Talk Video. Craig was also the CEO of Dialpad Communications, where he transformed it into the most profitable VoIP company in the industry and acquired by Yahoo! in 2005 (now Yahoo! Voice). Walker received his BA from UC Berkeley in 1988, and subsequently earned both an MBA from Georgetown University and a JD from Boalt Hall School of Law at UC Berkeley.